In God’s Word, the Bible, sin is declared to be any violation, no matter how small, of God’s law. “Whosoever committeth sin transgresseth also the law: for sin is the transgression of the law” (1 John 3:4). The Bible makes it clear that even sinful thoughts are a violation of God’s law. It is important to understand that God accepts no excuses for sin, any sin. Because every person has “sinned, and come short of the glory of God” (Romans 3:23), every person stands condemned as a lawbreaker before God and will have to answer for his violations of God’s law on Judgment Day: “And as it is appointed unto men once to die, but after this the judgment” (Hebrews 9:27). How will you answer to God for your sins on that day of reckoning? Do not expect the perfect, holy Judge to allow you to walk away from justice because He will not do so. “God is not a man, that he should lie; neither the son of man, that he should repent: hath he said, and shall he not do it? or hath he spoken, and shall he not make it good?” (Numbers 23:19). God’s Word tells us the sentence which will be handed down to unforgiven sinners on Judgment Day: “And whosoever was not found written in the book of life was cast into the lake of fire” (Revelation 20:15). 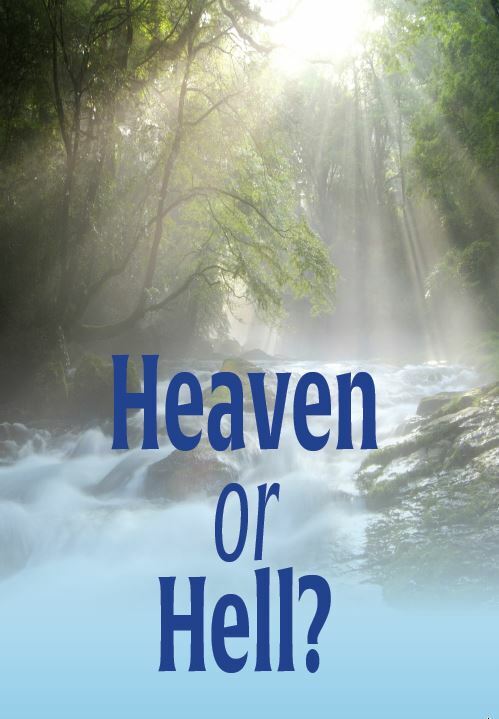 Jesus asked one group of sinners, “How can ye escape the damnation of hell?” (Matthew 23:33). Isn’t it time you asked yourself that same question? ﻿You cannot bribe God, the holy Judge. You cannot work off your sins. “For by grace are ye saved through faith; and that not of yourselves: it is the gift of God: not of works, lest any man should boast” (Ephesians 2:8-9). 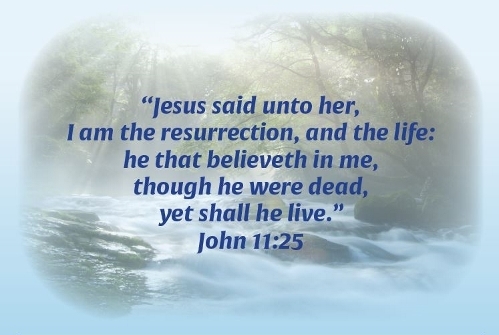 The Bible tells us, “For God so loved the world, that he gave his only begotten Son, that whosoever believeth in him should not perish, but have everlasting life” (John 3:16). Jesus Christ, God the Son, came to this earth and “was made in the likeness of men” (Philippians 2:7) while remaining the Son of God. Jesus, “God . . . manifest in the flesh” (1 Timothy 3:16), lived a perfect life on earth, obeying the law of God in every point, and then offered up His perfect life as an acceptable sin offering for sinners who would place their faith in Him. “But this man, after he had offered one sacrifice for sins for ever, sat down on the right hand of God” (Hebrews 10:12). Because of His perfect righteousness, Christ Jesus was raised from the dead by the power of God as the “firstborn among many brethren” (Romans 8:29), those saved through faith in Him. “O death, where is thy sting? O grave, where is thy victory?” (1 Corinthians 15:55). Jesus commanded, “Repent ye, and believe the gospel” (Mark 1:15). True repentance is experiencing a “godly sorrow” (2 Corinthians 7:10) for one’s sin and turning to the Lord in order to plead for forgiveness. To be saved from eternal damnation, you must truly repent of your sins and put your trust wholly in the Lord Jesus Christ for salvation. Those who do so will be saved once and saved forever (Romans 6:23). On Judgment Day, they will stand before God as His beloved children, cleansed of sin by the blood of Jesus and free of the condemnation of the law because Christ’s perfect righteousness has been accounted to them (2 Corinthians 5:21). To their everlasting joy, they will hear the Lord Jesus say to them, “Come, ye blessed of my Father, inherit the kingdom prepared for you from the foundation of the world” (Matthew 25:34). If you would be forgiven and cleansed of all your sins, be saved from hell, be reconciled to God, and experience the spiritual birth necessary to “see the kingdom of God” (John 3:3), then confess your sin to the Lord along with your utter inability to save yourself. Seek God for the gift of saving faith (Ephesians 2:8-9); trust in Christ alone for salvation; and “thou shalt be saved” (Romans 10:9). Then read your Bible; spend time in prayer every day; and follow the Lord who saved you. “For he saith, I have heard thee in a time accepted, and in the day of salvation have I succoured thee: behold, now is the accepted time; behold, now is the day of salvation” (2 Corinthians 6:2).